In this lesson, we will learn how to find volumes of cuboids, then composite solids made of cuboids, and then prisms. Maged made a cardboard house at school. The lower part of the house is a rectangular prism and the upper part a triangular prism. 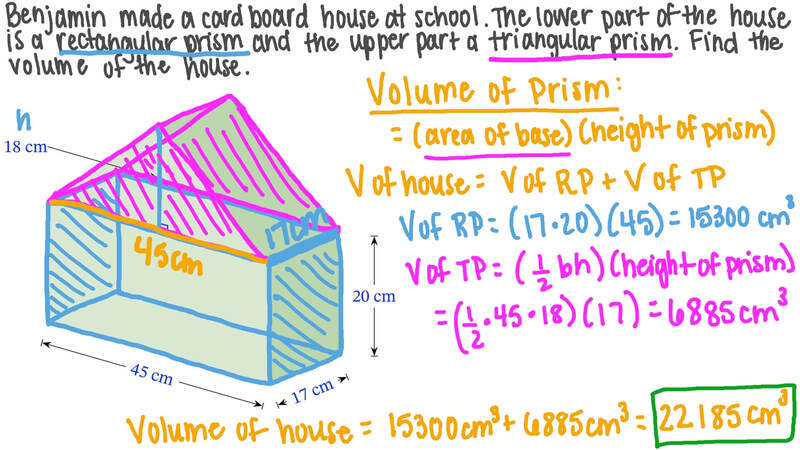 Find the volume of the house. Each of these rectangular prisms is made up of unit cubes. Which has a volume of 30 cubic units? How many cubes with a side length of 1 2 does it take to fill the given prism? Work out the volume of the right triangular prism shown. The solid shown is a rectangular prism with a triangular prism cut out along its length. Work out the volume of the solid. 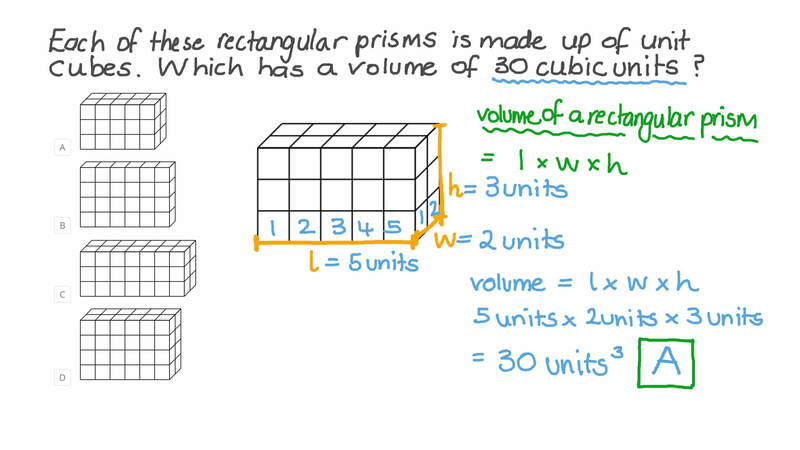 Given that the volume of each small cube is 1 cubic unit, find the volume of this prism. 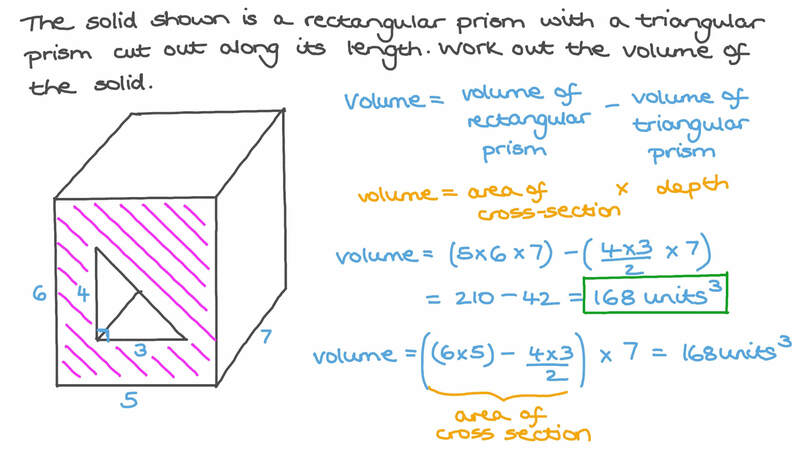 Given that each unit cube has a side length of 1, find the volume of the given prism. Shady and Nada are calculating the volume of a rectangular prism with length 18 m, height 11 m, width 4 m. Shady said that the volume is 792 m3, and Nada said it was 44 m3. Who is correct? The solid shown is formed from two rectangular prisms. Work out the volume of the solid.